Op Amp Characteristics and Parameters Explained. The symbol of an op amp is basically represented in the form of a triangle with two inputs, one output and two supply terminals. They can be considered as the building blocks of electronic circuits and has wide and numerous applications. They can be configured into different mathematical operations like addition, subtraction, multiplication etc. and hence the name op amp. Output voltage is defined by the difference of voltages to the inputs. The amplification is very high, and is given by the formula: A=output voltage / difference in input volts. 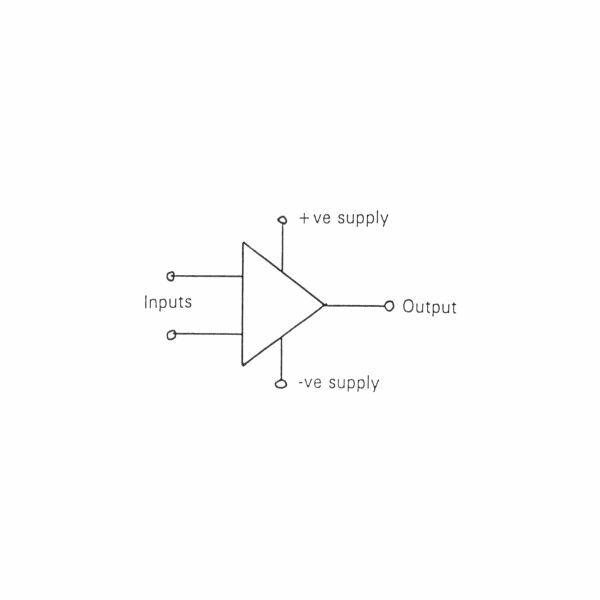 Input Bias Current: Some Op Amps incorporate bipolar transistors at their inputs, which require small bias current for switching known as the input bias current and is derived from the input voltage itself. Open Loop Gain: It is the overall voltage gain or the amplification and is calculated in decibels. Input voltage range: This can be any value from 3 volts up to the supply voltage( maximum ). This is the maximum safe voltage limit that the inputs can hold, beyond which the IC may get permanently damaged. A typical input voltage should be around 9volts with a supply voltage of 12 volts. Output Voltage Range: It is never a good idea to over drive an Op Amp IC, if this happens, the out put voltage will saturate and ultimately be limited by the supply voltages. So just like the maximum input voltage, the out put voltage too should be a couple of volts less than the supply voltage. In the next part of the article we will discuss regarding few more important parameters of op amps.